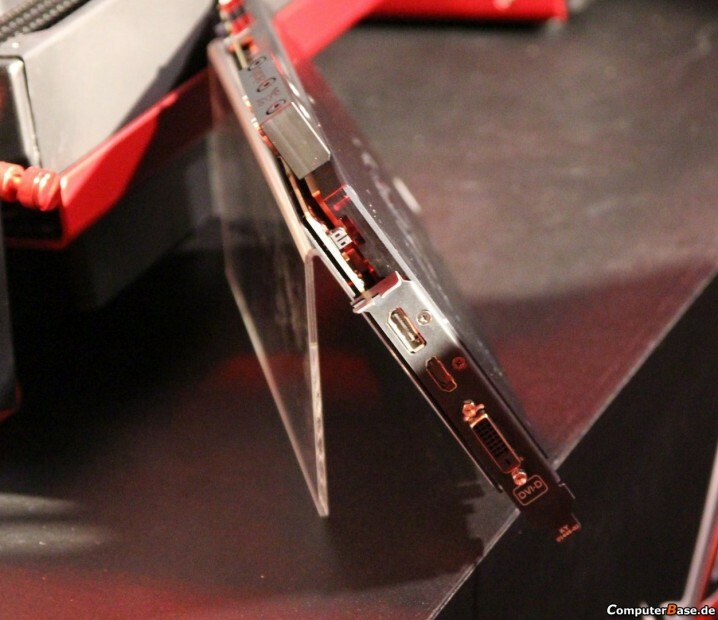 If you ever felt lonely, then you know how ASUS ARES owners feel everday. 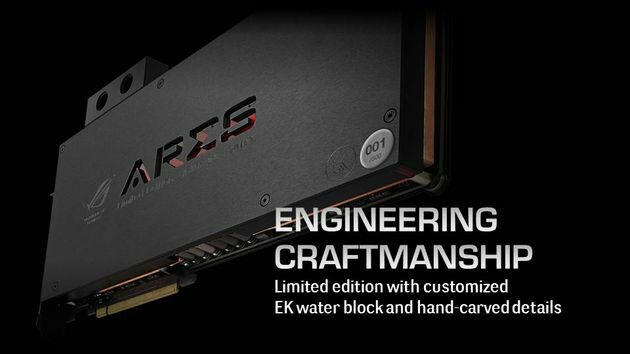 ARES cards are so rare, that each unit has it’s own limited edition number. 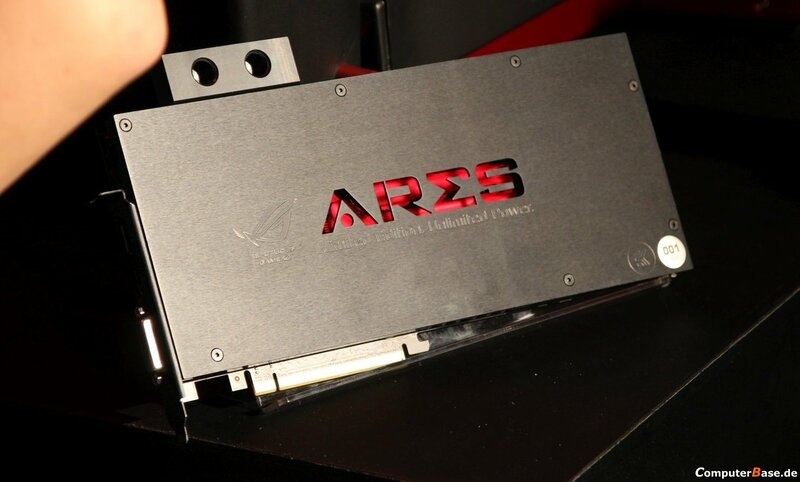 ASUS ARES II was released in a number of 1000 units. 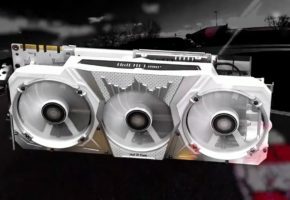 Most of them were probably given to the reviewers, but I did see a guy with two running in CrossFire, and I’m still wondering why he needed them. Anyway, this time it won’t be any easier to obtain them. Only 500 units will be available, and that’s including review samples. 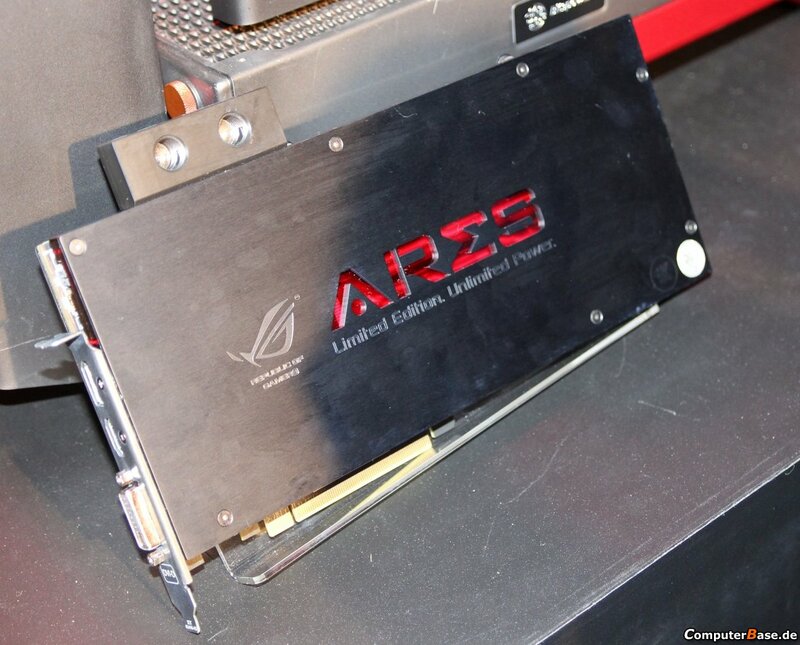 ASUS ARES III is nothing else than Radeon R9 295X2 in a new form. 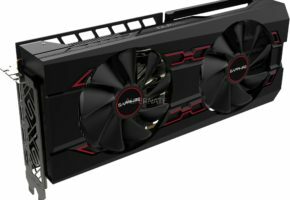 AMD did not allow the usage of R9 295X2 model naming, which is not exactly a problem for ASUS, they are fine using ARES codename instead. 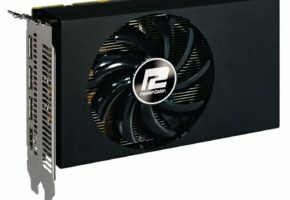 PowerColor was not so lucky, and they had to come up with Dual Core R9 290X, add PowerColor Radeon Devil13 and you have the longest model name you can imagine, which no one will remember in few months. 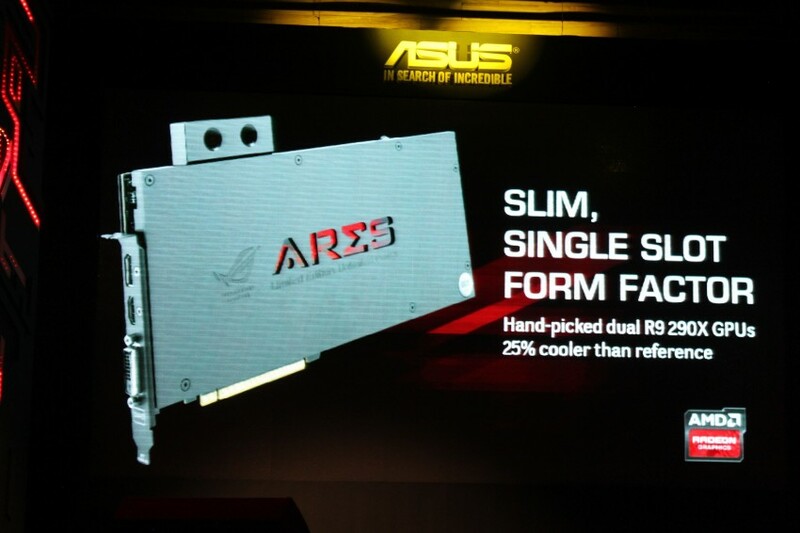 ASUS ARES III is the first single-slot ARES card. 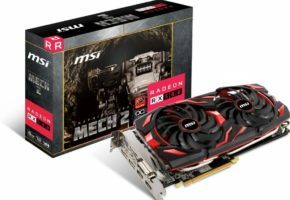 A full cover waterblock is added instead of a bulky liquid cooler known from reference Radeon R9 295X2 or even previous ARES installment. 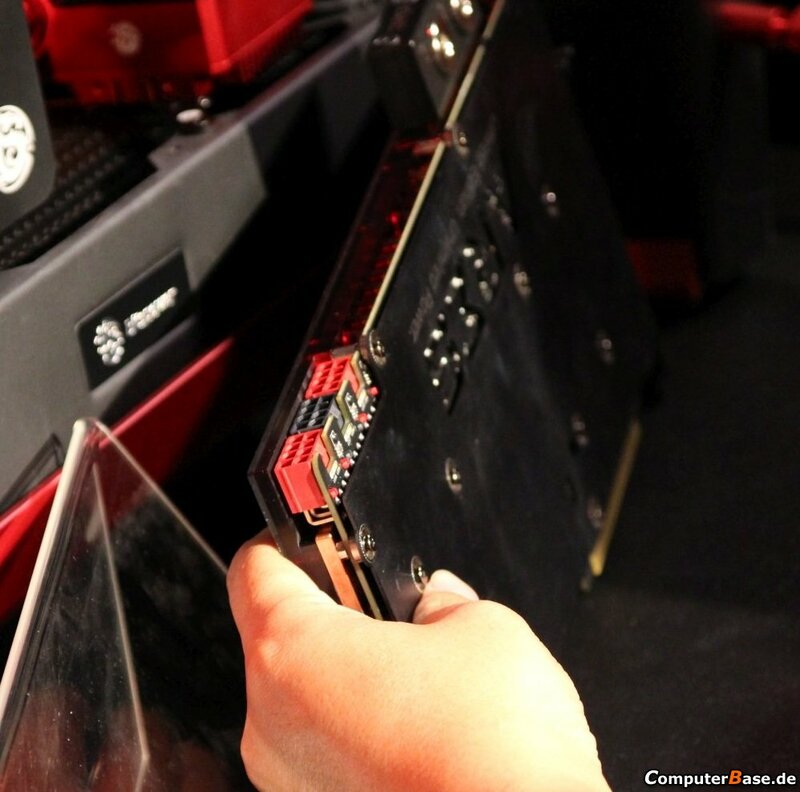 This time though you will also need your own water cooling loop to run this card. 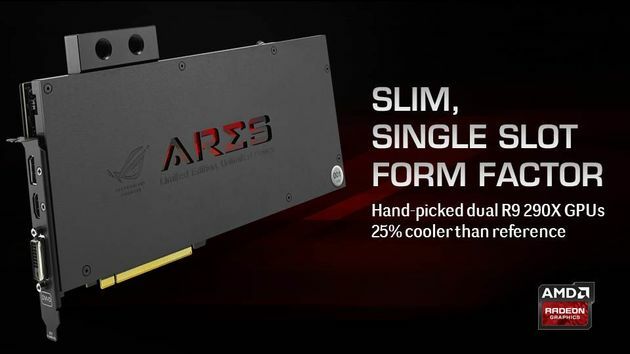 ARES III is a true single-slot design as even a bracket has been modified to single PCI slot height. 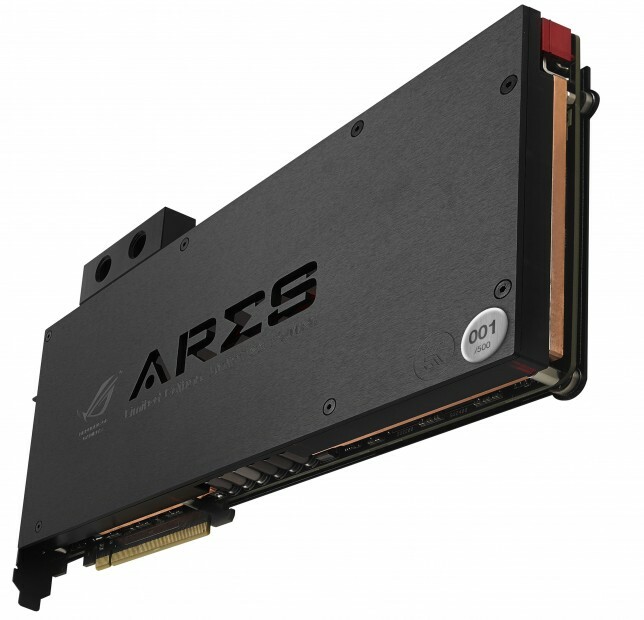 Compared to ARES II we have just three display outputs (ARES II had six), so you need to make sure your multi-monitor setup can either use HDMI, DP or DVI connector. 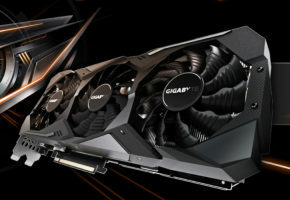 ASUS ARES III is a dual-Hawaii graphics card, with a total of 5632 unified cores. 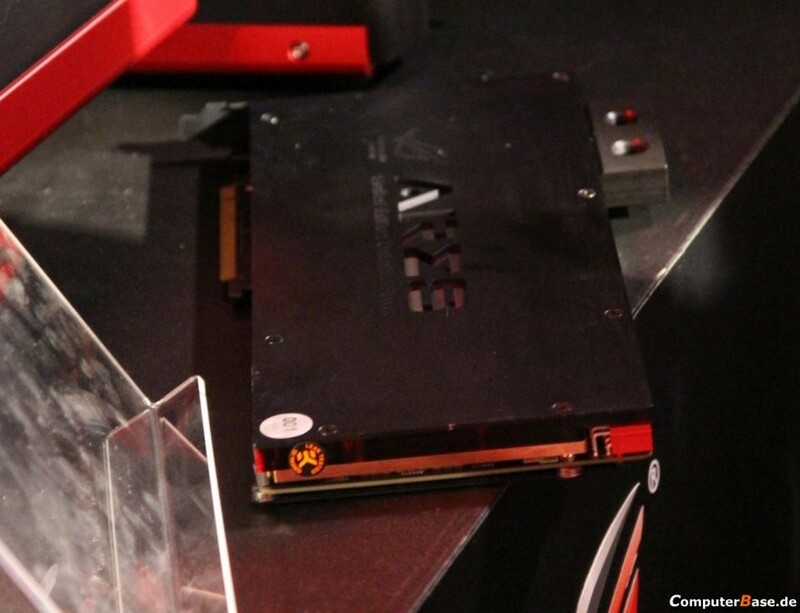 It also features 8GB GDDR5 memory across 2x 512b interface. According to the leaflet ARES 3 will run at 1030 MHz core clock. 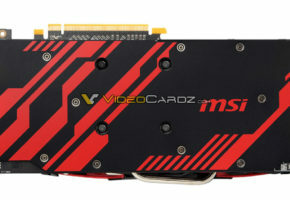 This card will be released somewhere in third quarter.